Want to organize a school trip to Agra or any other hotspot location in the country? We are based in Delhi and offer regular School Bus Service to private schools, public schools, convent schools and other schools operating in the country. 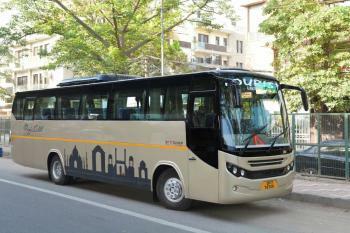 We also provide bus services for school outstation trips. All our buses are very functional and we have with us all the needed licenses. Every bus we own is fully-serviced and has comfortable interior. We are fond of children and are always concerned about the safety of the children while providing services. We also facilitate driver facility and the drivers are selected after series of driving tests conducted by us. Our services can be attained at very small charges.